On December 04, 2017, the U.S. Supreme Court ruled that the third version of President Trump’s travel ban will be allowed to go into effect. Although other legal challenges are still making their way through the court system, as of December 08, 2017, restrictions went into effect limiting travel for people from eight nations. In practical terms, the orders issued by the U.S. Supreme Court, allow President Trump’s September 24, 2017 Presidential Proclamation to be fully implemented, thereby allowing the U.S. government to legally block some foreign nationals from gaining visas or entering the United States. The proclamation imposes country-specific travel restrictions on eight countries: Chad, Iran, Libya, North Korea, Somalia, Syria, Venezuela, and Yemen. In addition, the Proclamation subjects nationals of Iraq to extra screening measures. The ruling does not affect the implementations already in place for citizens of North Korea and Venezuela which went into effect on October 18, 2017. Chad: entry is suspended on immigrant visas and nonimmigrant business (B-1), tourist (B-2), and business/tourist (B-1/B-2) visas. Iran: entry is suspended on immigrant visas, and nonimmigrant visas except student (F and M) and exchange visitor (J) visas. Libya: entry is suspended on immigrant visas and nonimmigrant business (B-1), tourist (B-2), and business/tourist (B-1/B-2) visas. North Korea: entry is suspended on immigrant visas and nonimmigrant visas. Syria: entry is suspended on immigrant visas and nonimmigrant visas. Venezuela: entry is suspended on nonimmigrant business (B-1), tourist (B-2), and business/tourist (B-1/B-2) visas, only for officials of government agencies in Venezuela involved in screening and vetting procedures, and their immediate family members. Yemen: entry is suspended on immigrant visas and nonimmigrant business (B-1), tourist (B-2), and business/tourist (B-1/B-2) visas. What legal challenges still remain? (9th Circuit) – On Wednesday, December 6, 2017 the 9th Circuit Court of Appeals heard arguments over whether to uphold a Hawaii district court order blocking the third version of the travel ban. Attorneys for the Justice Department defending the travel ban argued this version of the travel ban was developed after a deliberate process and is the product of “extensive study.” They argue further that President Trump actions fall under his broad constitutional and statutory authority to control immigration. (4th Circuit) – On Tuesday, December 12, 2017, the 4th Circuit Court of Appeals in Richmond, Virginia listened to arguments stemming from an injunction issued by a Maryland judge. In listening to oral arguments the 4th Circuit justices questioned whether the court could take into consideration Tweets and outside remarks made by the President, which often espoused anti-Muslim sentiments. Decisions from the 9th and 4th Circuit Courts are expected out soon. How the ban will affect people already in the process of obtaining visa abroad? 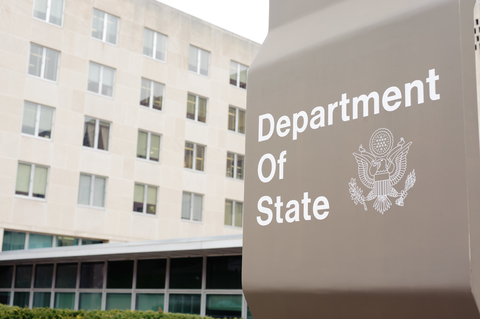 * The Department of State (DOS) has confirmed that it will NOT cancel previously scheduled visa application appointments. * An DOS officer will make a determination whether an applicant who is otherwise eligible for a visa is exempt from the proclamation, or, if not may be eligible for a waiver under the Proclamation. * DOS guidance indicates that no visas will be revoked pursuant to the Proclamation. * Individuals subject to the Proclamation who possess a valid visa or valid travel document generally will be permitted to travel to the U.S., irrespective of when the visa was issued. * Case-by-case waivers may be granted, if a foreign national subject to the ban can demonstrate that denying entry would cause the foreign national undue hardship, that entry would not pose a threat to national security or public safety, and that entry would be in the national interest. * There is no separate application, an individual who seeks to travel to the U.S. should apply for a visa and may present information and documentation to show eligibility for the waiver at the visa interview. * For a waiver based on a “close family member” the required relationship is restricted to include only spouses, children under the age of 21, and parents of U.S. citizens, of lawful permanent residents, and of aliens lawfully admitted to the U.S. on a valid nonimmigrant visa. * The National Visa Center will continue to process cases and schedule visa interview appointments. For more information about the Travel Ban, visa processing or other immigration matters, please contact Kolko & Associates, P.C. Andrea L. Sweeney (formerly Smith) is an Associate Attorney at Kolko & Casey, P.C.